Just when you thought it couldn't get any worse for WikiLeaks the site loses its URL and online data graphs, hackers continue to attack it, and U.S. Senator Joe Lieberman (I-Conn.) is trying to hound the site out of existence. The outrage directed against the whistleblower site stems from WikiLeaks' decision in late November to publish a trove of more than 250,000 confidential U.S. diplomatic cables. The cables contain correspondence between American embassies throughout the world and the U.S. State Department. The White House called WikiLeaks' decision to publish the cables a "reckless and dangerous action." And the publication has put WikiLeaks founder Julian Assange on the run from law enforcement authorities around the world. It's just another day for the world's most infamous Website. intelligence sources must have the clear assurance that their lives will not be endangered by those with opposing agendas...revealing the identities of these individuals will not be tolerated," Lieberman said in a statement announcing the proposed legislation. 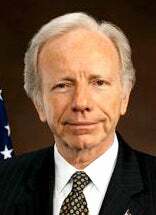 Lieberman is chair of the Homeland Security and Governmental Affairs. The proposed law is meant to make it easier to prosecute WikiLeaks and Assange for violating U.S. law. Called the Securing Human Intelligence and Enforcing Lawful Dissemination (SHIELD) Act, the senator's new legislation is an amendment to section 798 of the Espionage Act, which makes it illegal to publish American cryptographic secrets as well as "procedures and methods used in the interception of communications." Things are so bad for WikiLeaks the site can't even make a graph using online tools. Tableau Software said on Thursday it had removed from its servers all visualizations created and published by WikiLeaks. The company offers a free online tool called Tableau Public that lets you create and share interactive graphs online. Tableau said it had removed WikiLeaks' data "in response to a public request by Senator Joe Lieberman. . . [who] called for organizations hosting WikiLeaks to terminate their relationship with the website." Senator Lieberman's public request came on Wednesday after learning of Amazon's decision to stop hosting WikiLeaks through Amazon Web Services. "I call on any other company or organization that is hosting WikiLeaks to immediately terminate its relationship with them," Lieberman said. Lieberman's office said Amazon's decision to kick WikiLeaks off its servers came after staffers at the Homeland Security and Governmental Affairs Committee contacted Amazon for an explanation as to why the company was hosting the WikiLeaks site. Not to be outdone by a U.S. Senator, hackers have been hard at work trying to bring WikiLeaks down through DDoS (Distributed Denial of Service) attacks. A DDoS overloads a site's server with page requests making it impossible for the site to function. The DDoS attacks against WikiLeaks became so bad that EveryDNS.net, a subsidiary of Dynamic Network Services, terminated WikiLeaks' Domain Name System (DNS) provider on Friday. Your browser is able to find every site on the Web using a series of unique numbers for each site called an Internet Protocol address. PCWorld.com's IP address, for example, is 70.42.185.10. Instead of typing in numbers, however, DNS providers make it possible to use word-based addresses that end in .com, .org and so on, which are easier to remember. Losing its DNS service provider meant that when you typed "WikiLeaks.org" into your browser, instead of landing on the WikiLeaks Website you would receive an error message. WikiLeaks was down briefly on Friday morning due to the DNS disruption. WikiLeaks has since moved to WikiLeaks.ch, but the fastest way to access the site is to type its Internet Protocol address into your browser, which is http://213.251.145.96/. And so, the fight to shut down WikiLeaks continues. Electronic Frontier Foundation co-founder John Perry Barlow recently called the battle over WikiLeaks the "first serious infowar." If it is war, WikiLeaks has reportedly chosen a new Web host with an appropriate location. Swedish Internet host Bahnhof AB, the company currently hosting WikiLeaks, is headquartered inside a Cold War bomb shelter that is able to withstand a nuclear attack, according to the Los Angeles Times. Hiding in a bomb shelter may put WikiLeaks beyond the reach of military force, but may not be enough protection against hackers. Bahnhof AB was WikiLeaks' previous host before the site moved to Amazon. WikiLeaks originally made the move to Amazon from Bahnhof AB after DDoS attacks brought the WikiLeaks site down in late November.